EFCC begins probe of INEC officials in 20 states – Royal Times of Nigeria. 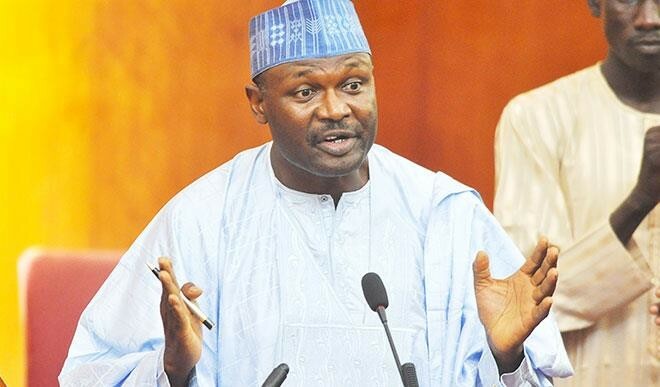 The Chairman, Independent National Electoral Commission (INEC), Prof. Mahmood Yakubu, during a quarterly consultative meeting with journalists in Abuja on Tuesday, disclosed that the Economic and Financial Crimes Commission (EFCC) was already probing the commission’s officials in 20 states over alleged electoral fraud. It could be recalled that the EFCC was prosecuting and probing 205 INEC officials for allegedly receiving part of the N23billion reportedly disbursed by a former Minister of Petroleum Resources, Diezani-Alison Madueke. Prof Yakubu said, “I want to say that this is the first time in the history of our elections that in one fell swoop, 205 officials were disciplined based on the interim report we received from the EFCC covering 16 states. Under the terms and conditions of service what we can do is to interdict them which means placing them on half salary and suspending them from work until their innocence or guilt is established. The last report covered 16 states and only last week I heard they had started prosecuting them. However, after receiving the report, we had a discussion with the EFCC and told them that for the outstanding 20 states, they should not submit an interim report to INEC but just prosecute them.